Are you hosting Thanksgiving dinner at your home this year? Maybe your classroom is doing their own Thanksgiving meal! If you want to bring a fall festive look to your table why not give these Thanksgiving hand stamped place mats a try! These fun hand stamped place mats look like something from a gift shop but are so easy even your kids and students can make them! Plus they are budget friendly! Take a peek below at how to get started so you can make a set for your own table! For ours we used pre-cut pieces of canvas scrapbook paper which is sold at Michael’s for about $2 each – you can of course make this much cheaper by doing it yourself. 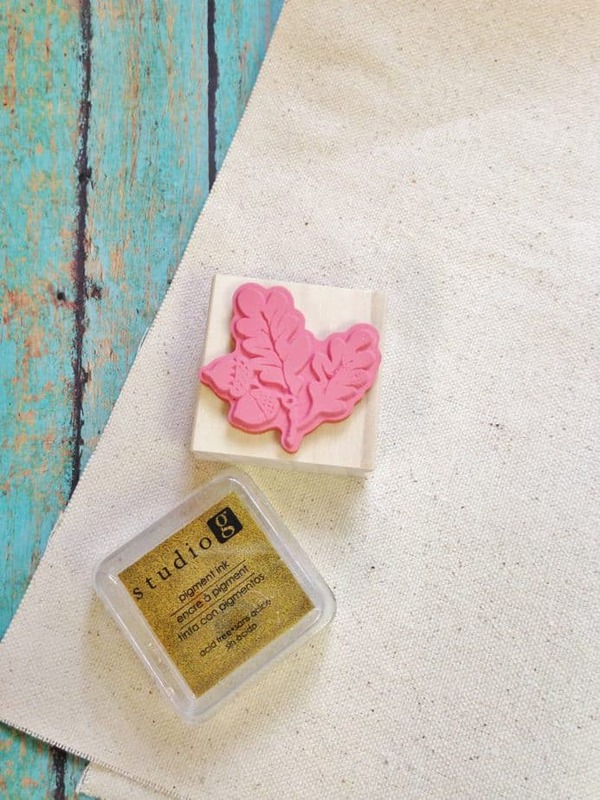 We snagged our stamp and ink pad in the budget section for $1 each. 1. 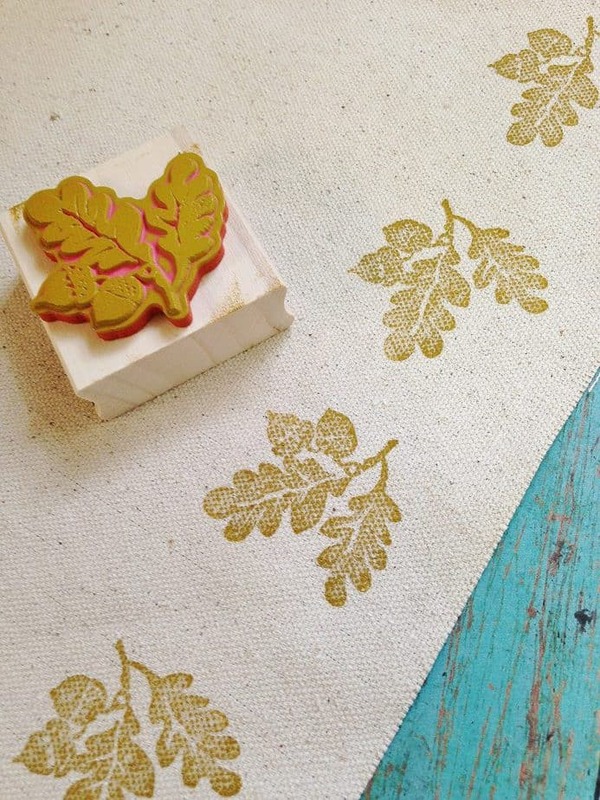 Begin by practicing first with the stamp a few times on a piece of scrap paper. This way you can get a feel for how much ink you will need and what design you want to create. 2. Lay the fabric / paper flat. For our place mat we decided to just make a line of stampings along one side of the place mat. 3. Press the stamp to the ink pad then transfer it to the fabric / paper place mat. Start at the bottom, pressing firmly then releasing. Continue the process up the side of the place mat. Don’t worry if your stamps aren’t perfect – it will just add to the rustic handmade feel of the piece! 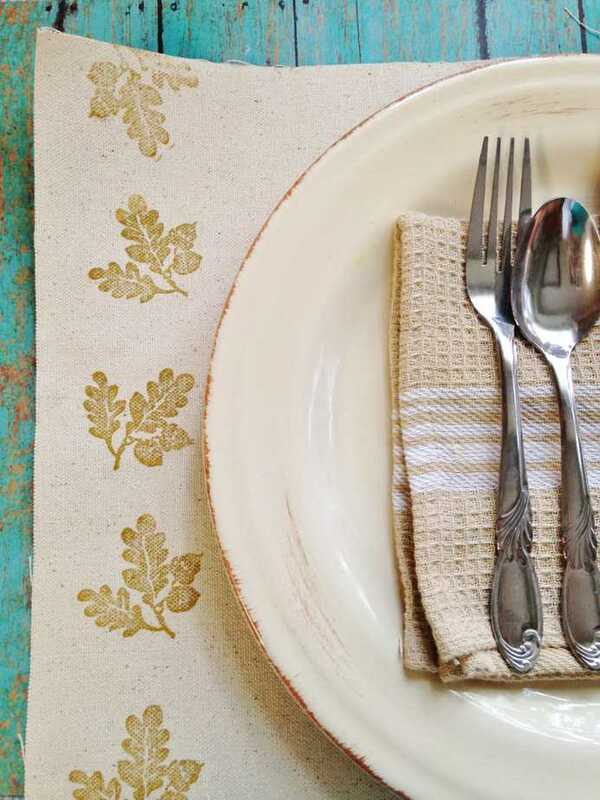 Give your place mat a good hour to dry – you don’t want it to smudge! Your place mats are ready to use! Feel free to laminate it if desired! (I personally use this laminator!) Set your plate, silverware, and other place setting items right on top! It will look so natural and inviting! Plus your guests will be wowed by the uniqueness of them and the handmade effort. If you’re using it for a classroom Thanksgiving meal it will really add some festivity to your tables!